To movie buffs, Iron Man is a Hollywood blockbuster film franchise starring Robert Downey Jr. in the lead superhero role. To the hockey world, it’s a term attached to an Anaheim forward who hasn’t missed a single game from the day he first took to the NHL stage. For 620 contests and counting, Andrew Cogliano hasn’t missed a beat, or a game, since he arrived in the NHL in 2007-08 with the Edmonton Oilers. He’s the league’s leading Ironman, joining just two players in league history who have played more consecutive games to start their careers: Doug Jarvis (the NHL's all-time Ironman with 964 consecutive games from 1975-88) and Andy Hebenton (second with 630 consecutive games from 1955-64). 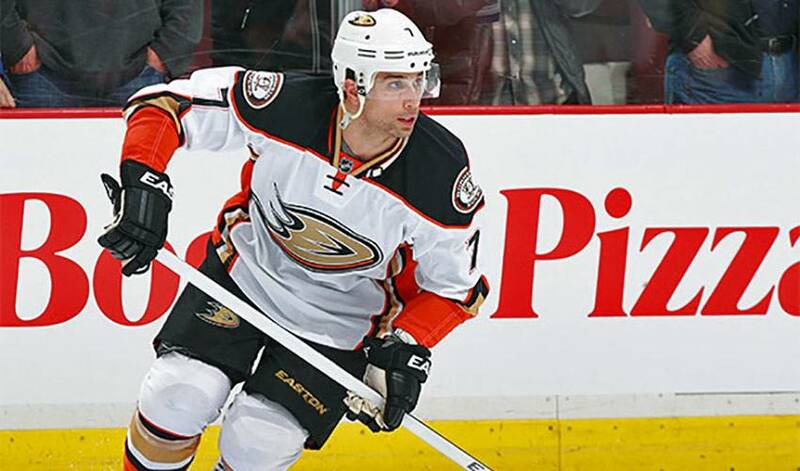 Cogliano is also only the eighth big-league player to boast a consecutive game streak of 600 games or more. Jay Bouwmeester (737) and Henrik Sedin (679) are the other two to accomplish the feat over the past 20 years. The 27-year-old might see his accomplishment in modest terms, but that doesn’t mean his teammates do. Whatever the approach, it’s proven to be a winning formula for the player who grew up just outside of Toronto. Recently, Cogliano was selected (for the third time in his career) as a nominee for the 2014-15 Bill Masterton Memorial Trophy. The Masterton Trophy is presented annually to the NHL player who best exemplifies the qualities of perseverance, sportsmanship and dedication to hockey. The winner will be selected at the end of the regular season. It’s a fitting recognition for the man who became Anaheim's all-time leading Ironman with his 277th consecutive game as a Duck on March 3, 2015 against the Arizona Coyotes. Maybe not the stuff fit for a Hollywood script, but certainly a feel-good story for hockey’s version of Iron Man.